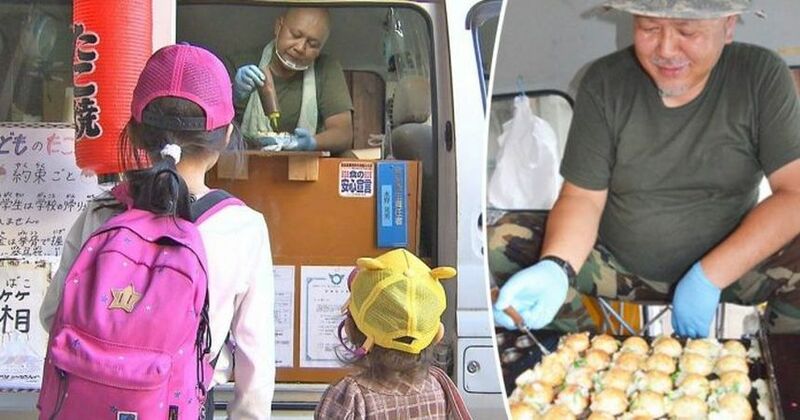 Every week, the man has been regularly taking Thursdays off to sell takoyaki, a Japanese dumpling filled with octopus which he sells in the compact van that he converted into a mobile stand. While he is a successful businessman the other days of the week, Akio does not make profits from his takoyaki sale. At just 100 yen (US$0.90), high school students can get a plate of takoyaki from Akio’s mobile stand. For the takoyaki, Akio only charges junior high students 50 yen for a plate of takoyaki while he charges just 10 yen (US$0.09) for those students who are in elementary school. He knew that there are students who do not even have 10 yen to spare for food.